For nine years I have greeted each day with my companion, Lilly, by my side. 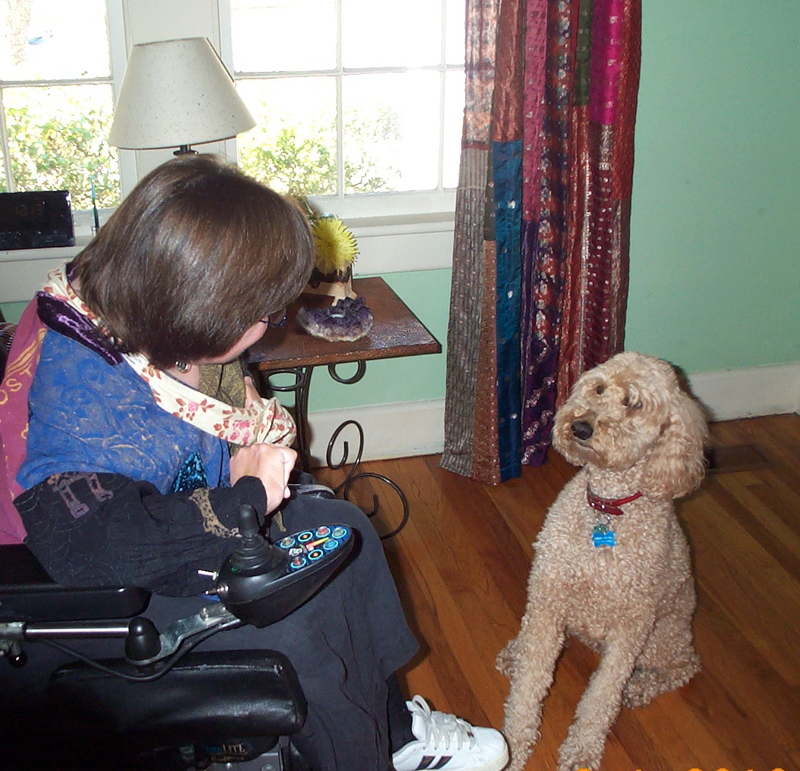 Trained to be an assist dog, she has retrieved multiple objects dropped or out of my reach – from pens to book, from coat hangers to telephones – Lilly has heard the call for these and many other items and made her way from floor to my lap or arms, her attention focused on where I am and my care. These days Lilly seldom leaves my sight. Her intuition is sharp – she knows we are in another time of transition. Boxes have begun to appear, and as before, she knows that means change is in the air. It is no secret to friends and family, from the beginning my retirement has filled me with mixed emotions. There are moments in a day when I have to stop – to regroup – to grieve. Overwhelmed with the change and the current preparation to move, I decided long ago – when I needed a “crying break” I would take it. A few days ago it was time for one of those ‘breaks’. With all of the resources she could find, Lilly tended to my sadness. From cleaning my hands to putting her head in my lap, she tried everything to ‘settle’ me. Finally after a whimper or two of her own, she went to the door and barked. As my assistant entered, Lilly led her to me and stood by my side. She watched – when I began to calm she stretched out beside me with a sigh. As I continue to re-adjust to my newer limitations, Lilly carries hope. She brings delight in each day and maintains a routine that helps me refocus when I am feeling most scattered. With only a few weeks before she and I move to a new home, she reminds me time and again that I am not alone. She will remain by my side waiting to nudge me when ‘we’ need a break from the work of sorting and packing. She knows to keep track of the important things – a walk in the fresh air or the evening game of ball – after all, (she says with her wise and playful eyes) life is an adventure and so much lies ahead for us. Her presence in my life remains a delight, bringing comfort when no words need be spoken. I end this day in gratitude for my companion, Lilly. I have been wanting to write for several weeks. Each time I began to write, my attention was redirected to distractions and details. Good intentions are often just that – but that is not how this season will pass for me. This image of a bridge speaks to this time of my life. I face a time of significant changes. Looking across to the other side, I see the beginning of the path but have little knowledge of what will be “around the bend”. I did not expect to retire at 54 but my plans did not match the journey that is before me. Retirement comes for medical reasons – time to slow my pace and pay attention to what will enrich the quality of my life. So this is about changes and choices — changes always bring possibilities. As I write tonight, I am preparing for a move. A move to the mountains where I hope to find nurture and inspiration. For support and safety, I have chosen to move into a retirement community. Barely ‘of age’ (the youngest age for entrance is 55) – I knew this was a good choice for me. It was a big decision. One that was not easy and often still hard to talk about. I dare say — many people my age who live with a disability have thoughts and concerns about what this decision might mean and if it is in their own future. To friends and readers this post was entered with a portion missing from the quoted poem, Edge of September. In respect for the poet, Jeanie Tomasko, and to complete the original reflection, I have discarded last night’s work and now re-post what was originally intended. Thank you for your patience! “Seasons cha nge and so do I…” – a line from the song, “No Time”, written and sung by THE WHO. It was a song that proudly played from my dorm room window on speakers cranked loud enough to reach two other dorms and a field used for tag football and sun bathing. That was when ‘serious’ studying was set aside. It was too difficult to resist the call of Boulder’s Colorado sun. When I hear this song I can swiftly return to that time in my life – formative and filled with possibilities. On October 1, I will have been retired four months. While reflecting on my own changes, I found myself singing this line from “No Time”. It was the thought of seasons that brought the words to mind. There is no surprise that one reflects on the changing seasons now. The days are getting shorter. I read in yesterday’s weather report — today the sun would set two minutes and twenty-three seconds earlier. It does not take a written report to know that summer is waning. 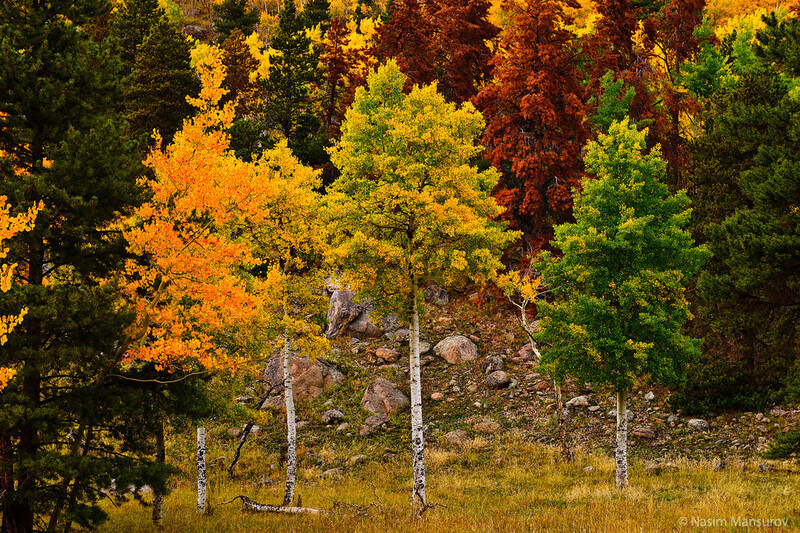 Evenings are cooler – the trees are beginning to show highlights of gold and red in their leaves. I have always enjoyed “transition seasons”. 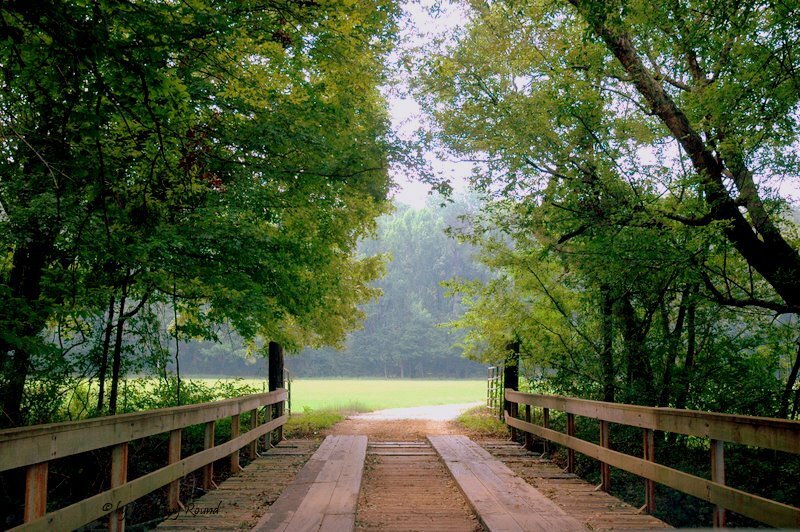 These seasons seem to act as a bridge between winter’s cold and the breathless heat of summer. This fall I am particularly aware of how life can reflect the nature of seasons. In the heat of this past summer, my new life in retirement felt uncomfortable, still too bright for me to find focus. As in other times of change in my life, I continued to be grateful for God’s grace in each day’s rhythm. Too tired and distracted with details, I would have been unable to tend to the sun’s rising and setting. Now, I seem to welcome these early days of fall. With four months of retirement behind me, I sense the beginning of a pattern to my days — the words rest and relax feel less foreign. These early days of fall remind me that all of creation knows the stress and creative energy found in times of transition. With gratitude, I welcome fall as I prepare to receive its guidance and calming pace. the sudden red of sumac. the young can feed themselves. I take stock of the woodpile. I’ve stopped coloring my hair. as if learning a tenderness.